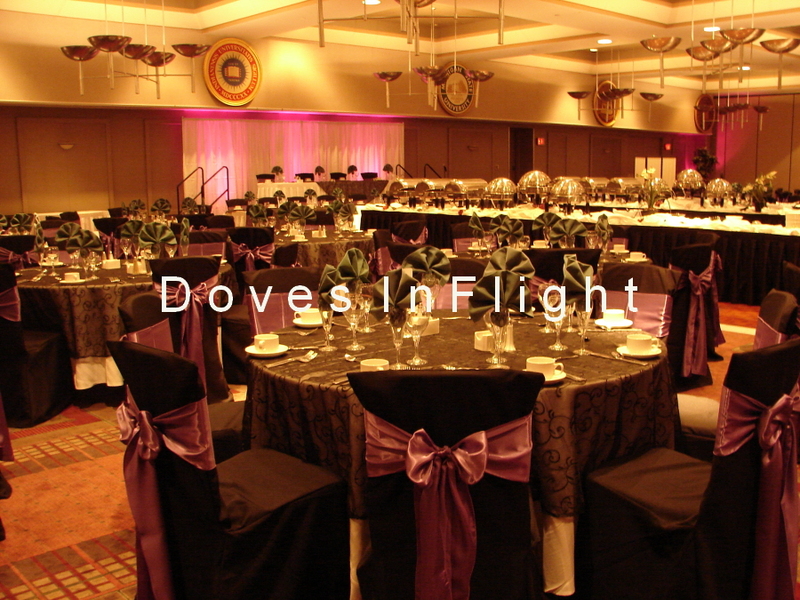 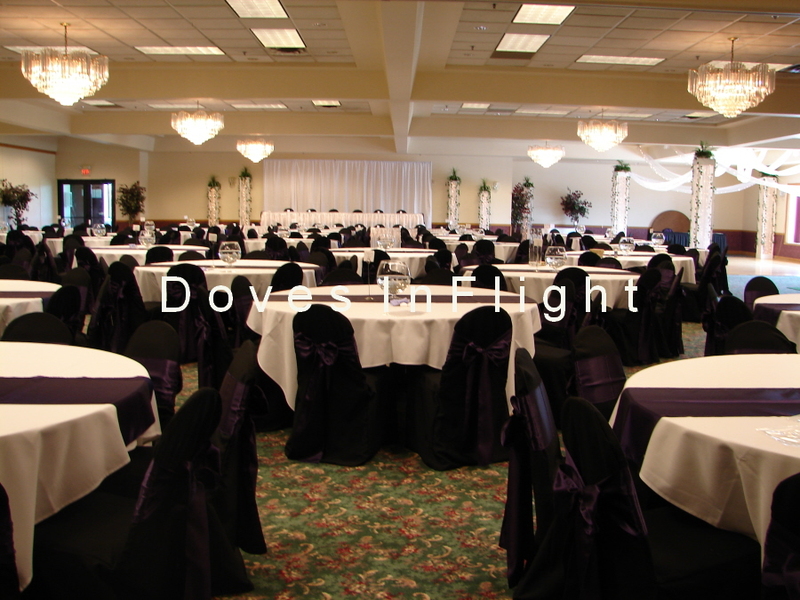 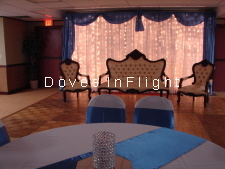 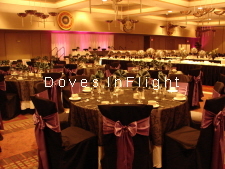 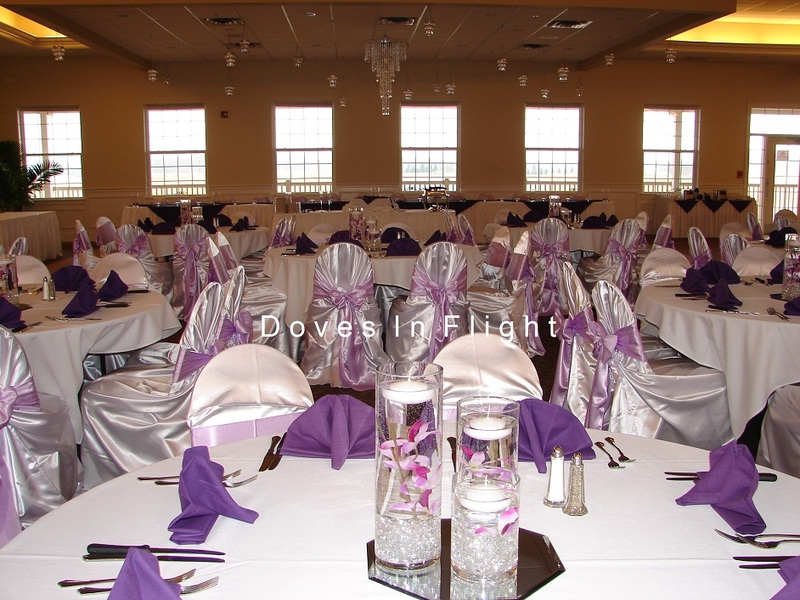 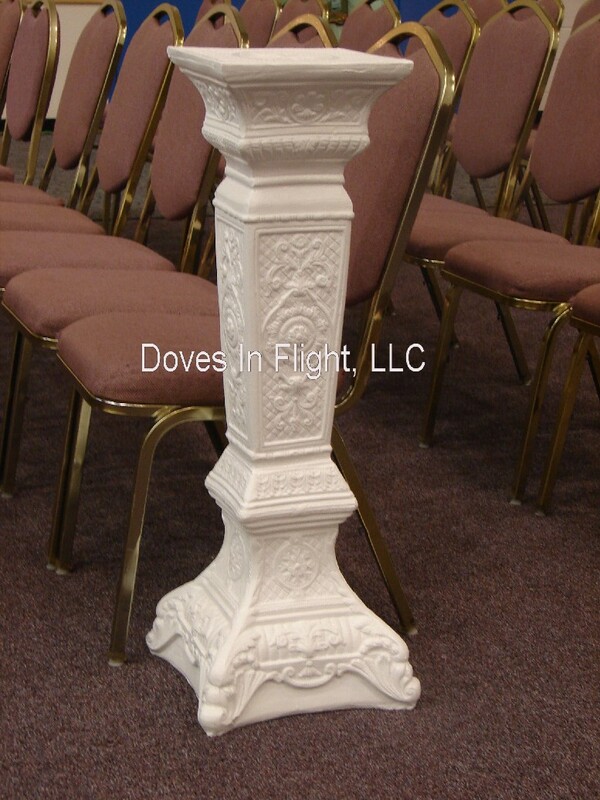 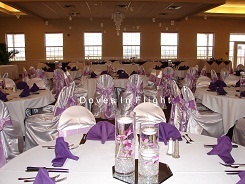 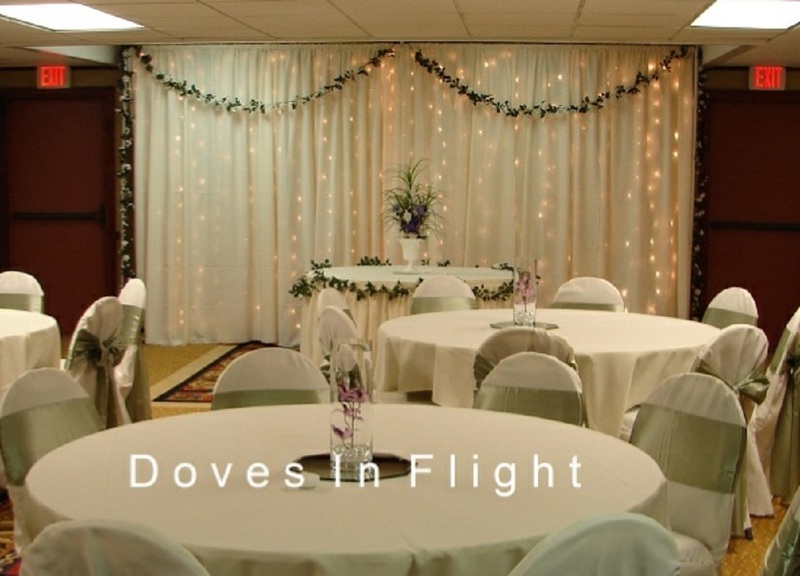 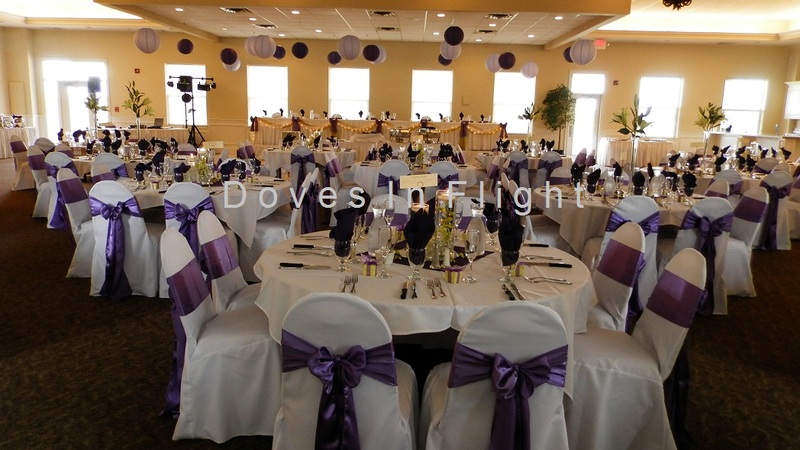 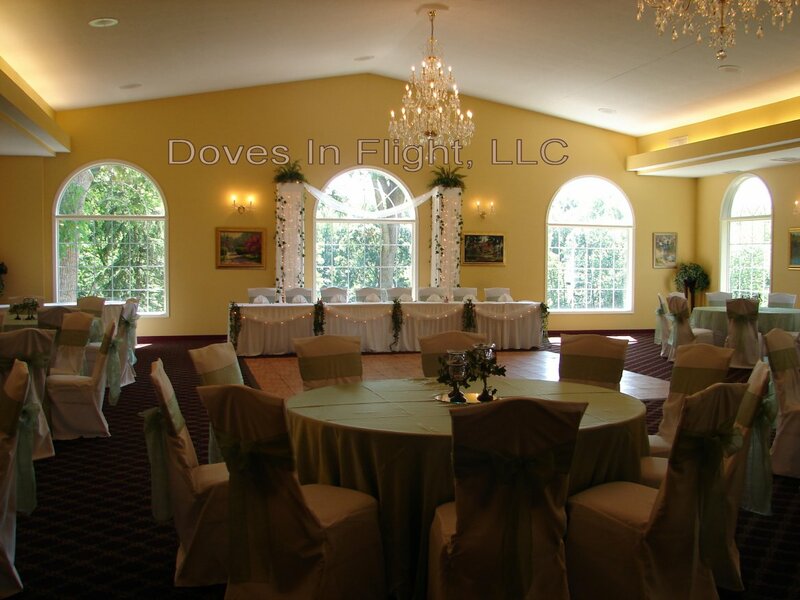 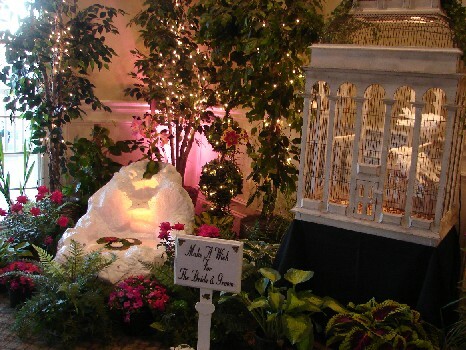 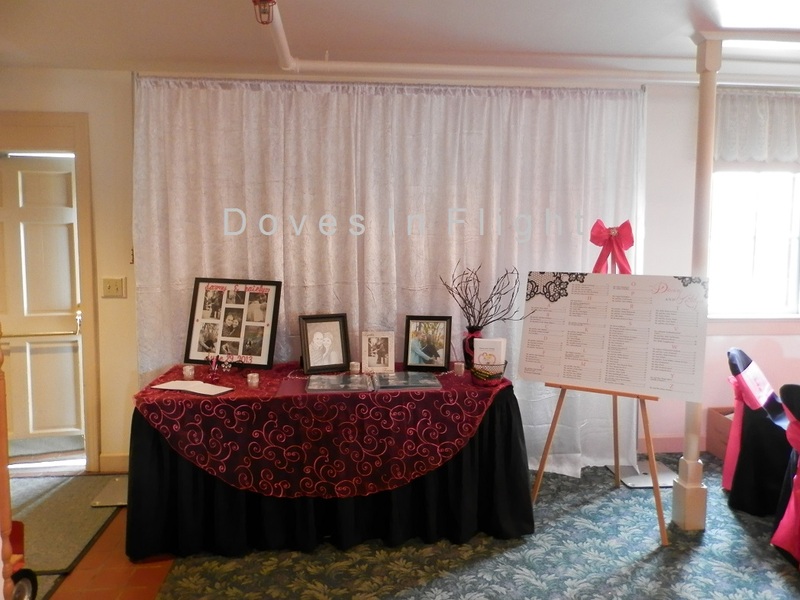 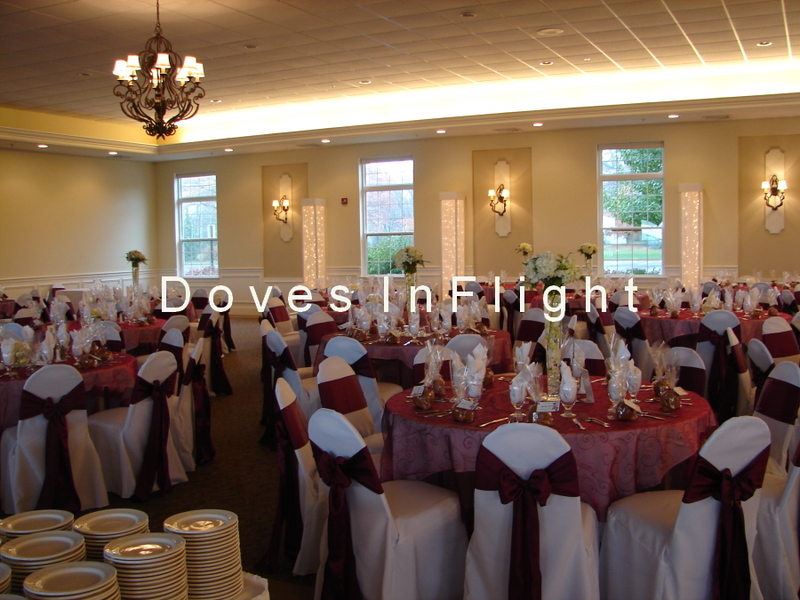 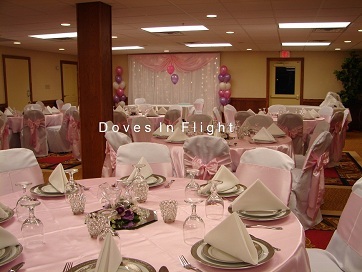 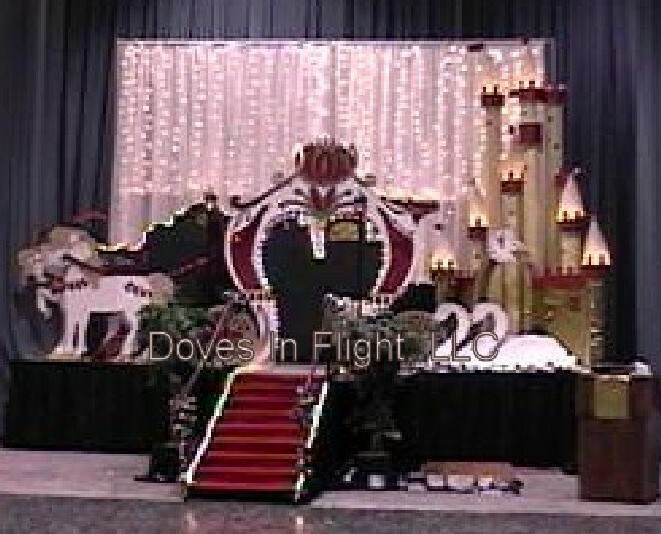 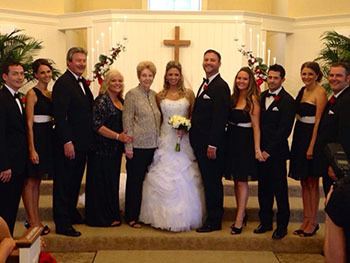 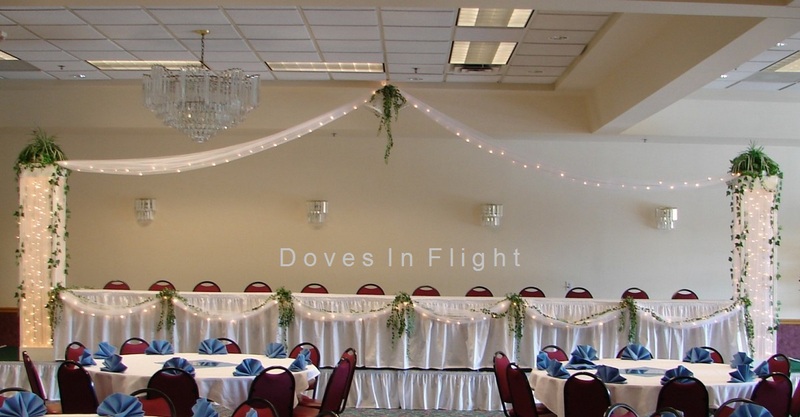 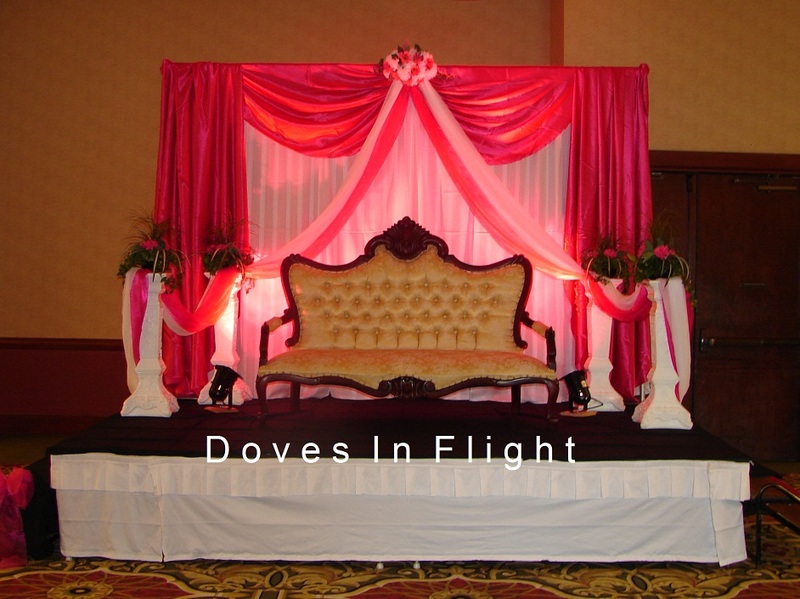 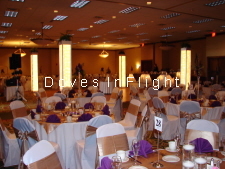 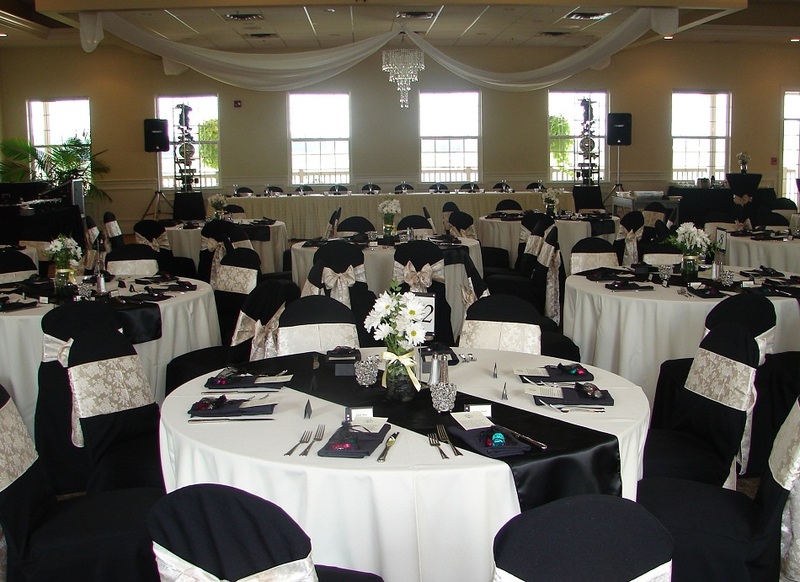 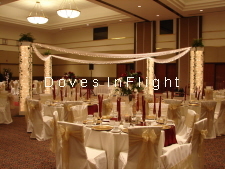 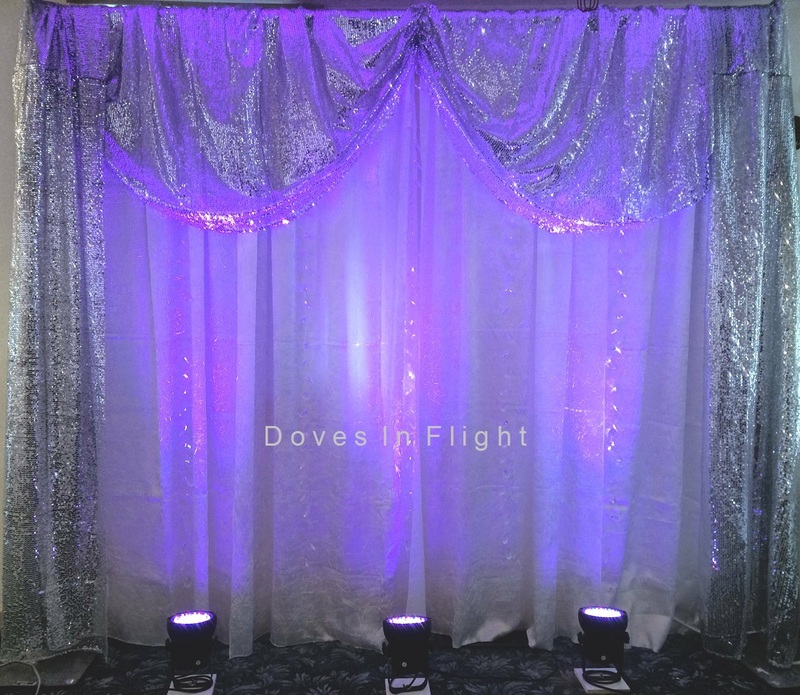 We take great pride in our columns and backdrops and have many different styles to choose from. 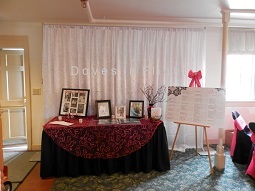 Please feel free to make an appointment to see all we have available. 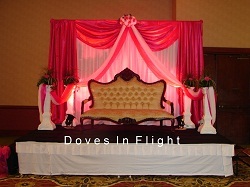 It is important for you to see them in person in order to appreciate their quality and style. 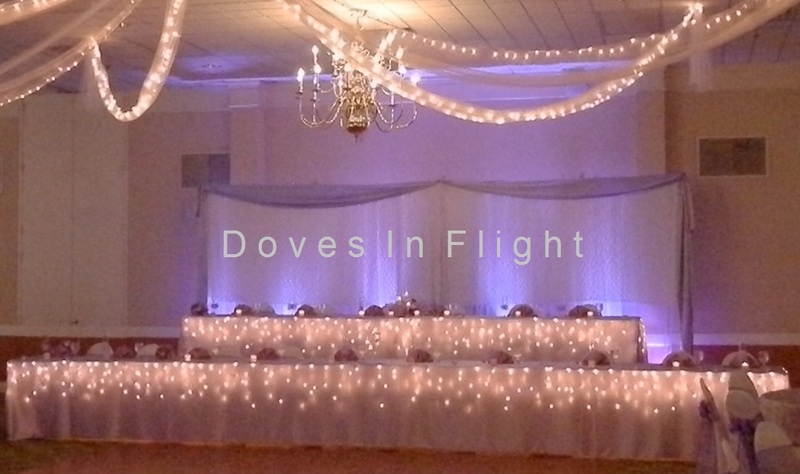 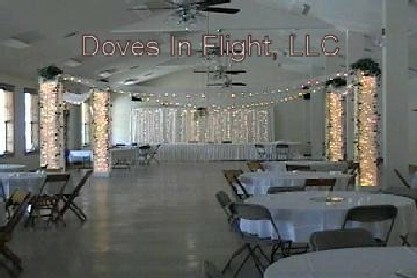 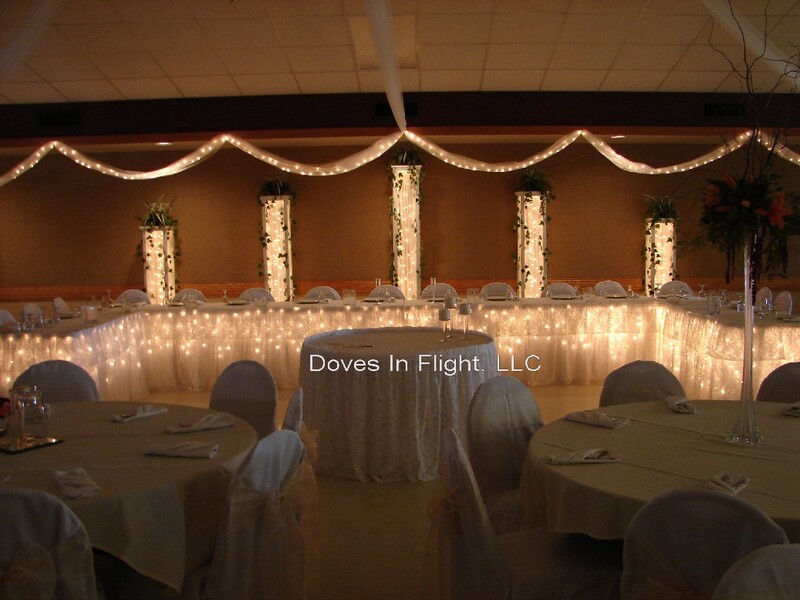 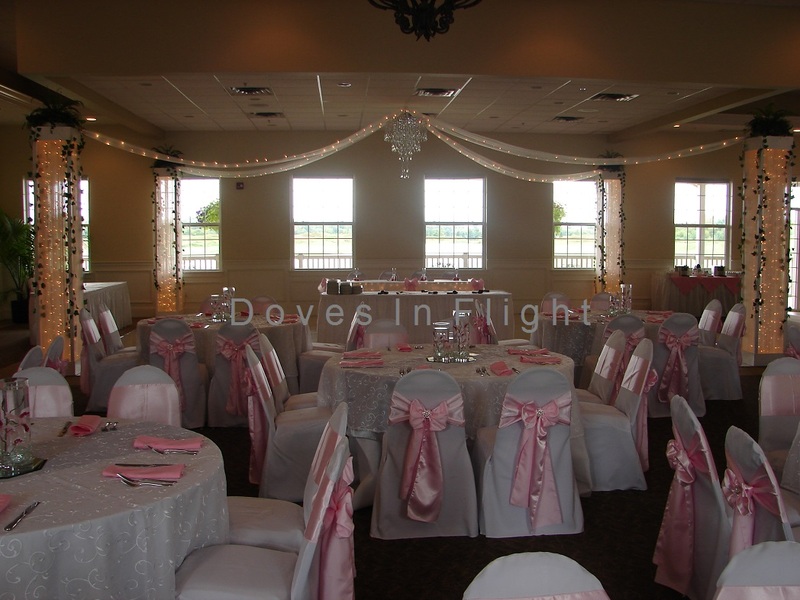 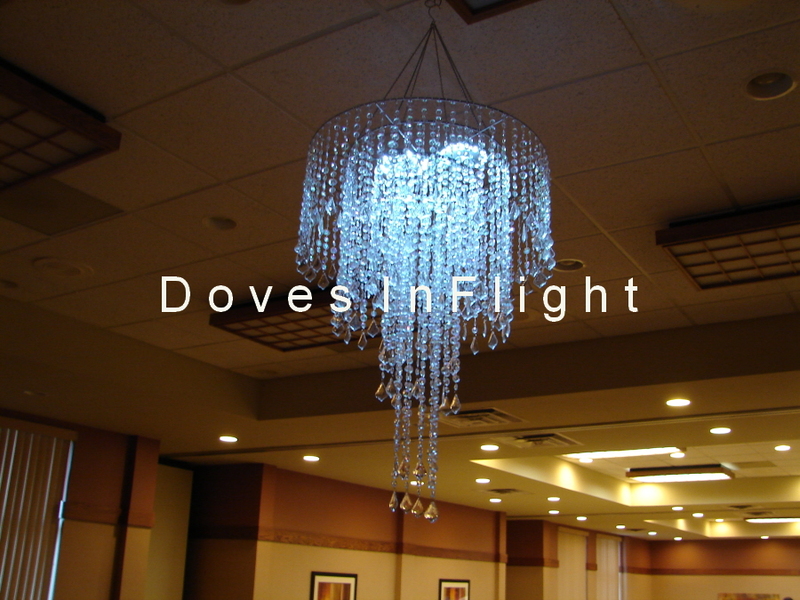 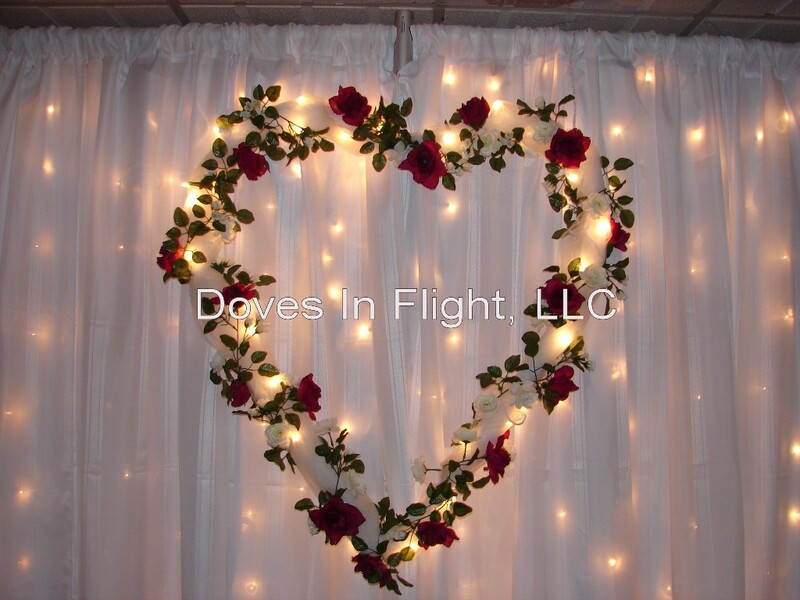 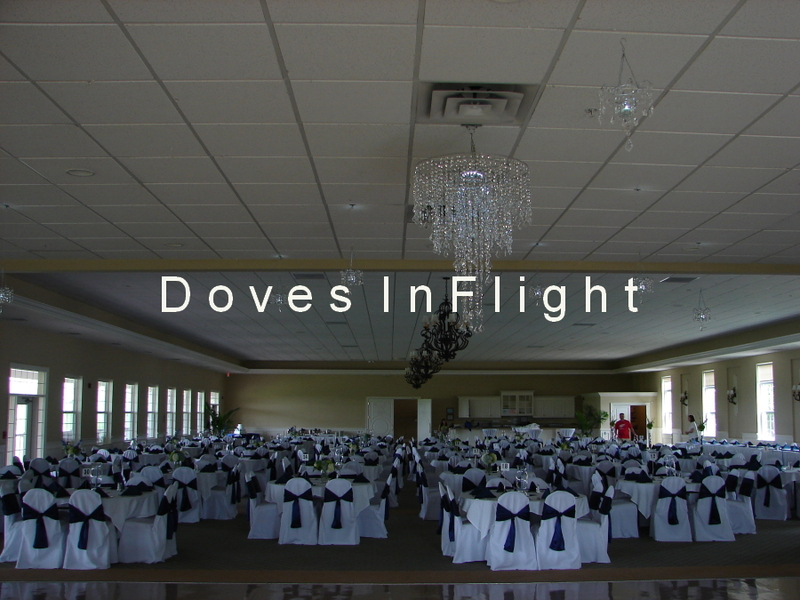 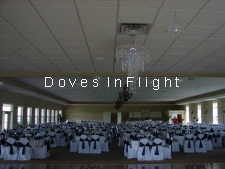 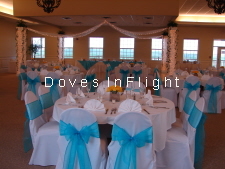 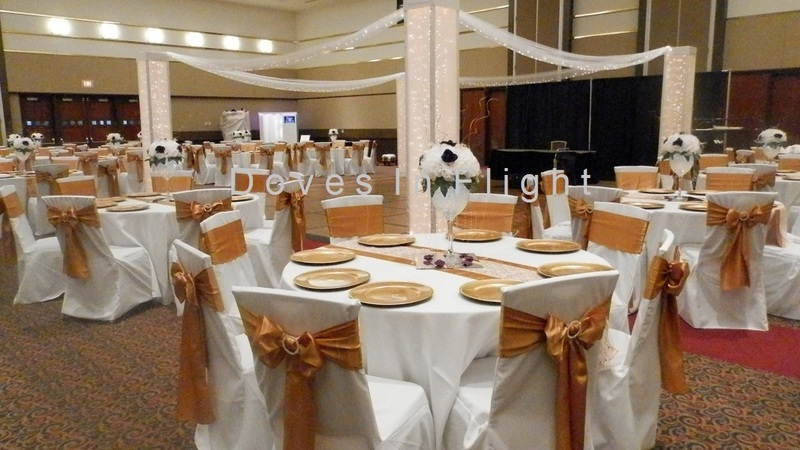 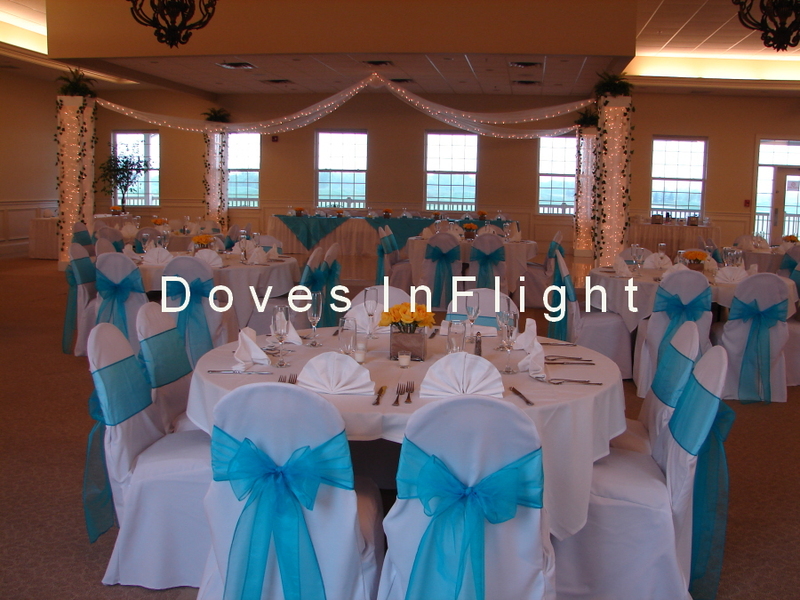 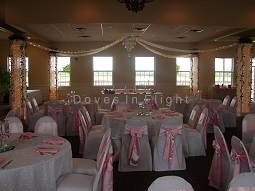 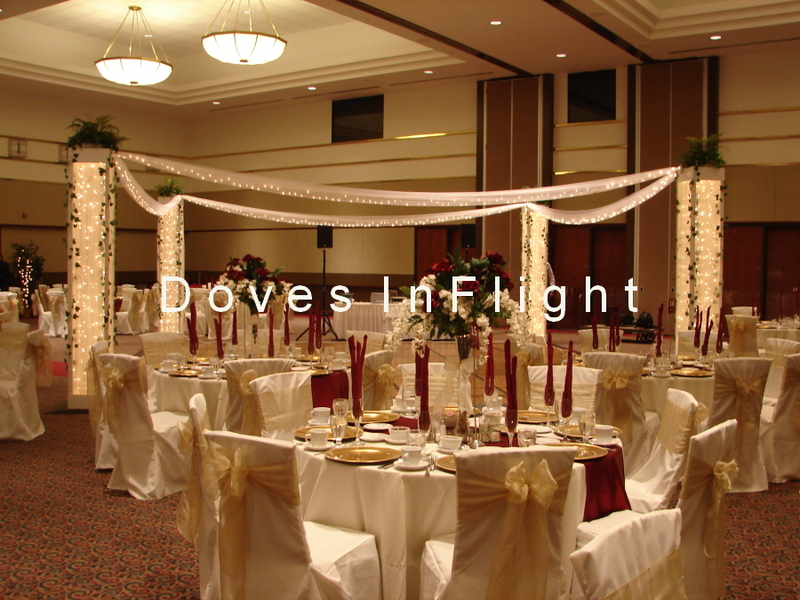 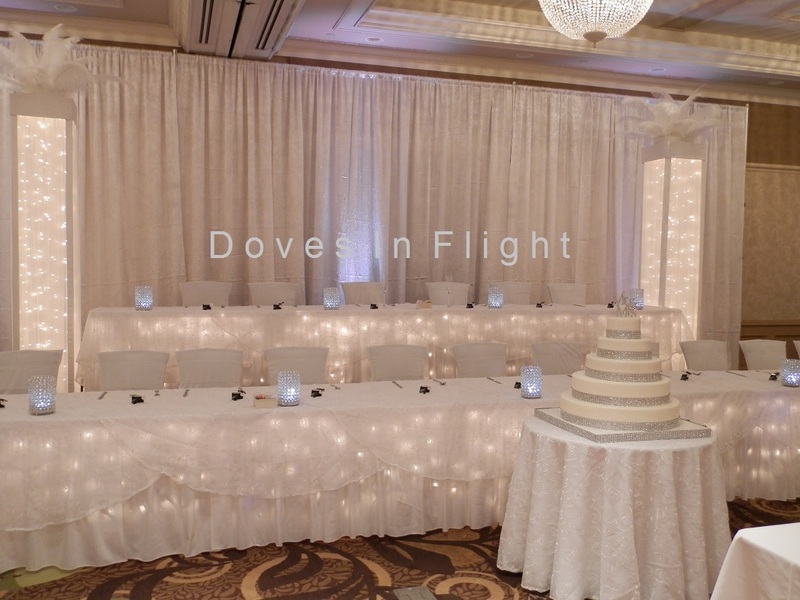 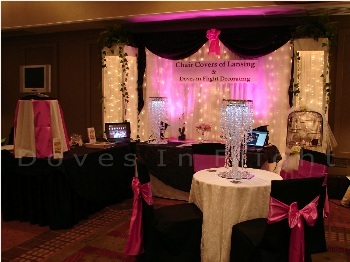 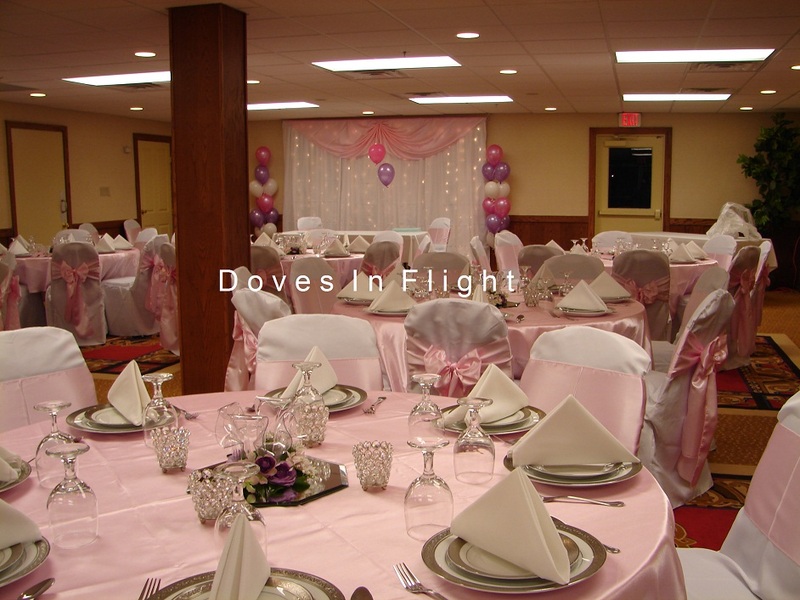 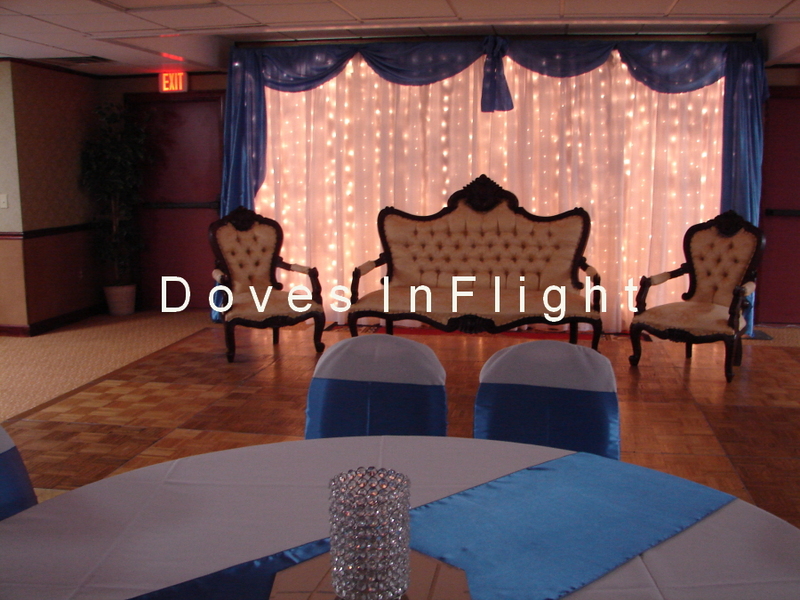 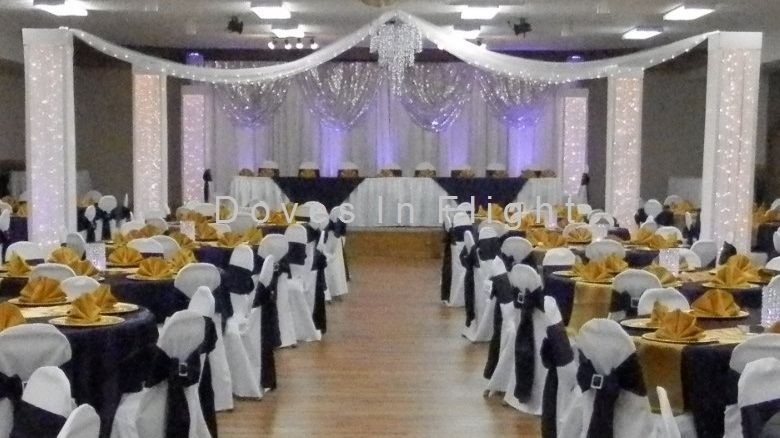 They are stunning on a dance floor with a Tulle and light canopy to the ceiling or on either side of the head table. 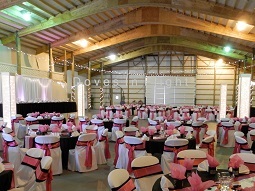 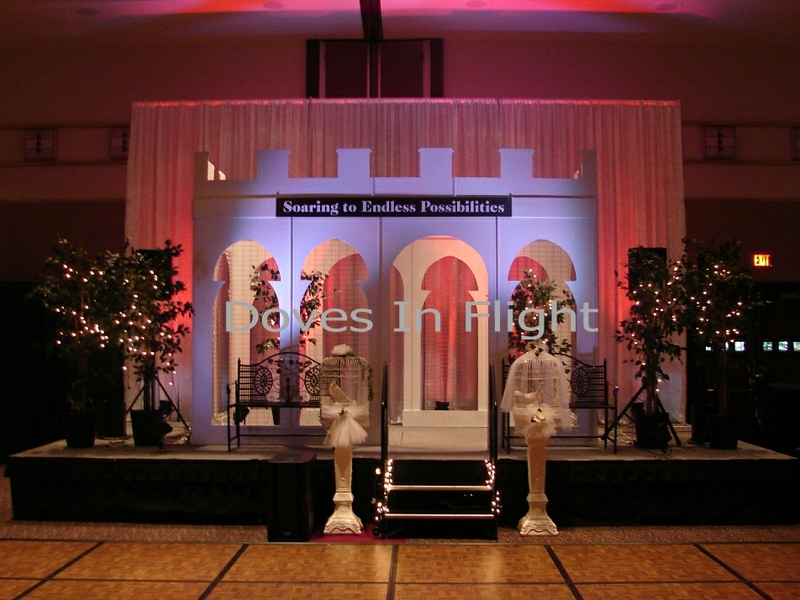 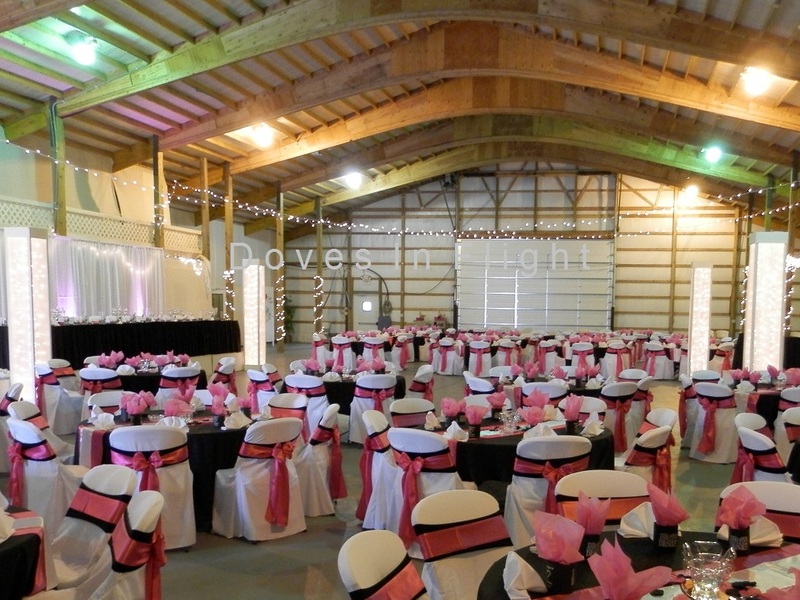 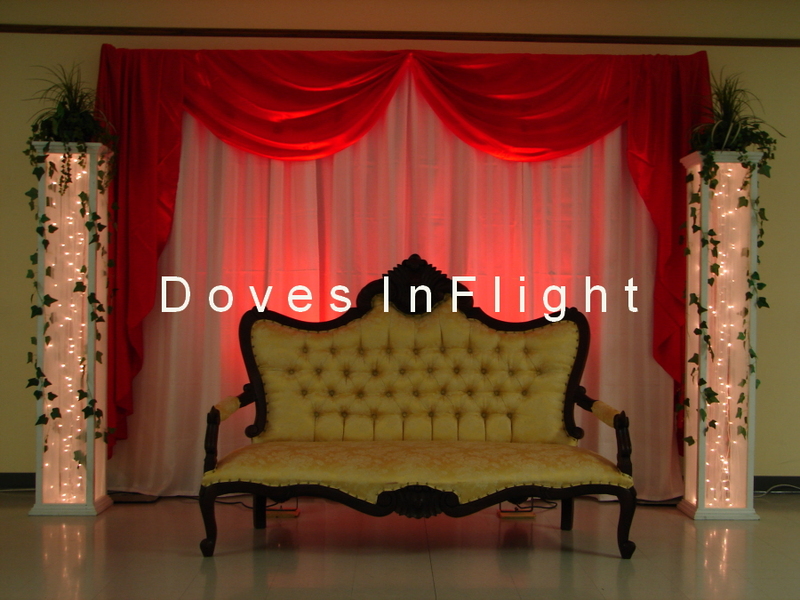 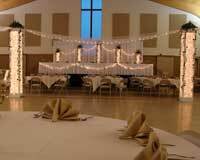 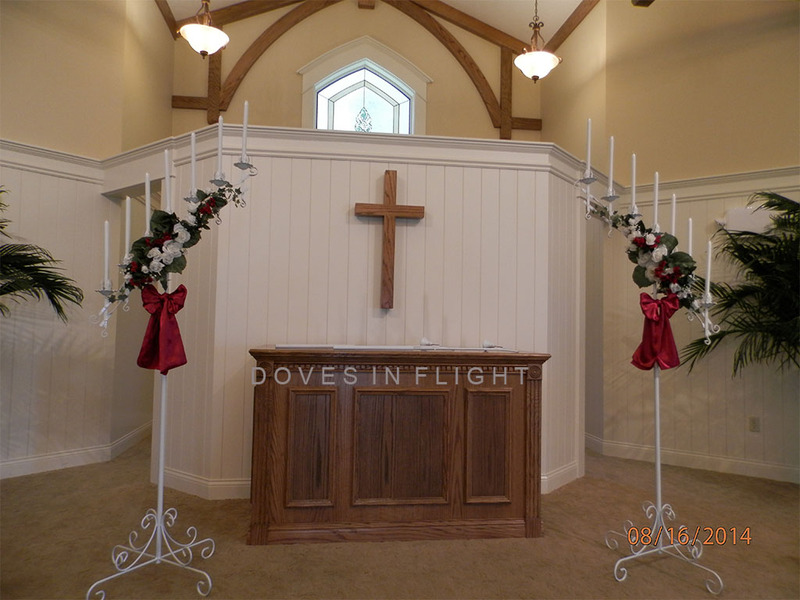 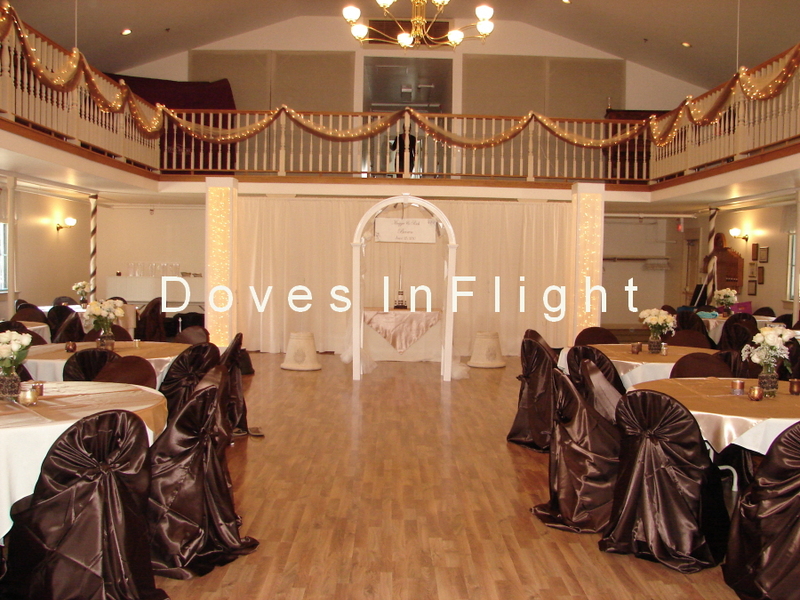 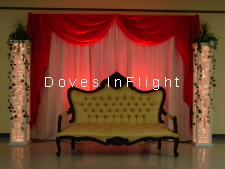 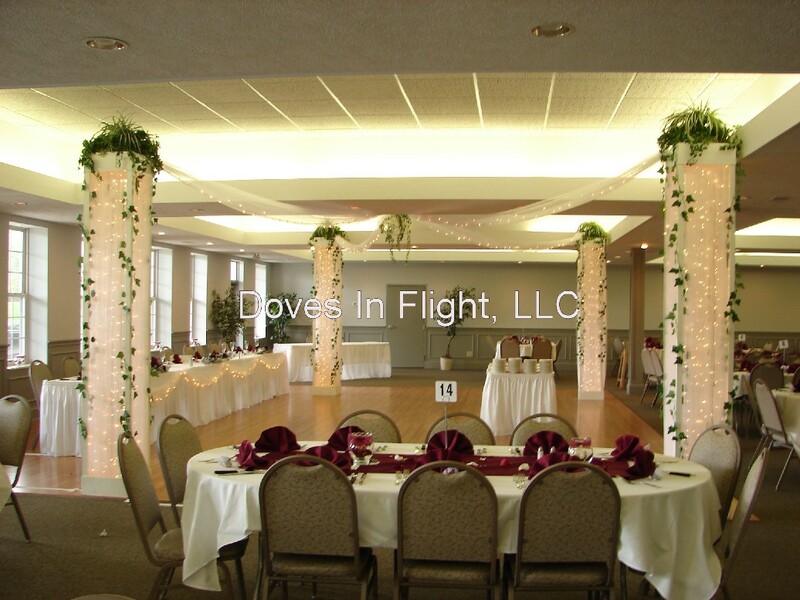 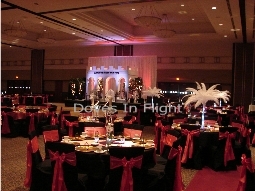 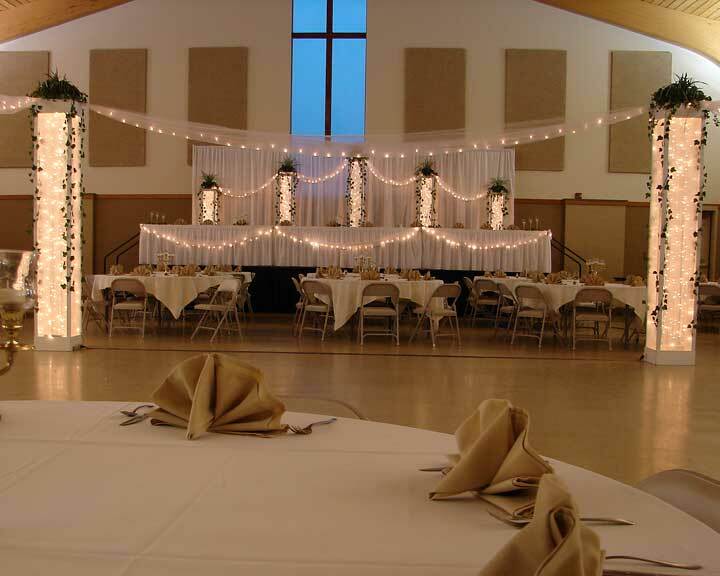 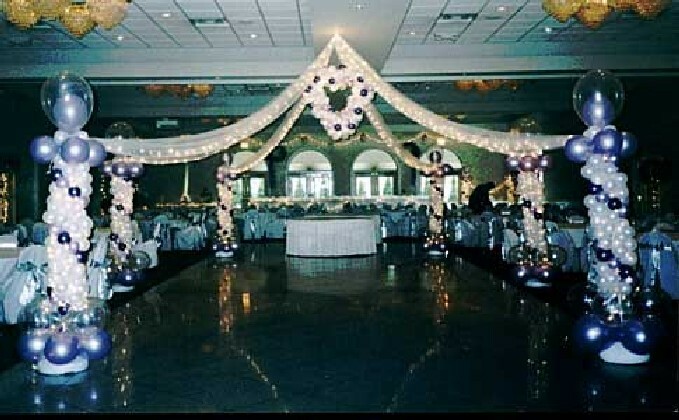 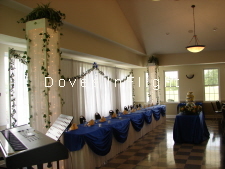 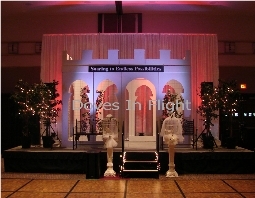 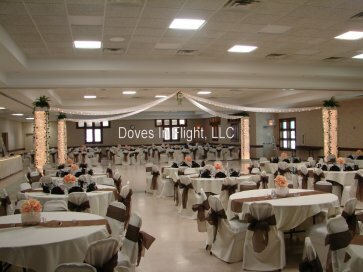 We also have matching arch pillars, backdrops, and plant stands. 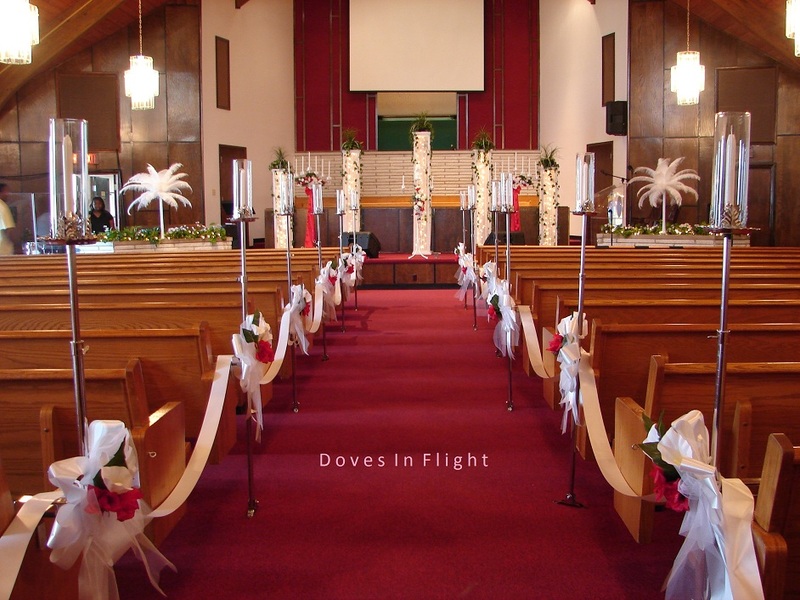 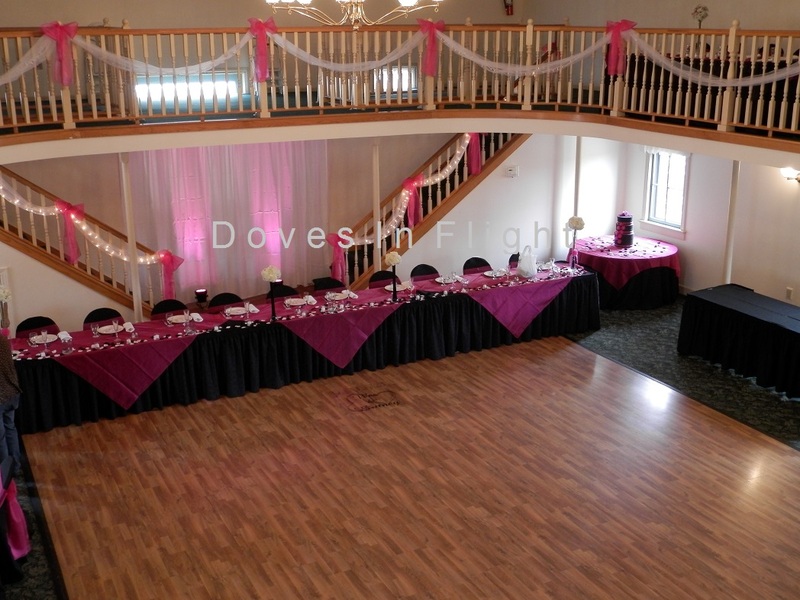 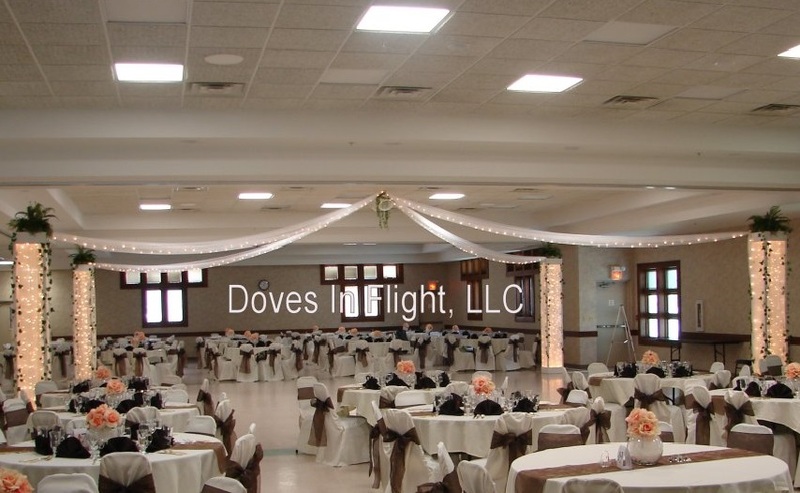 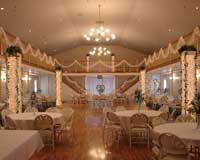 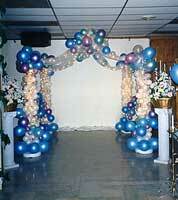 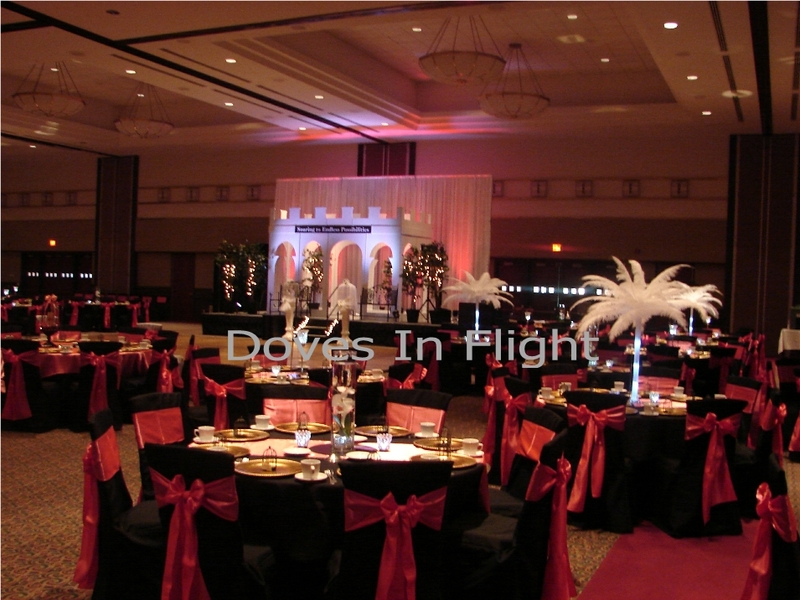 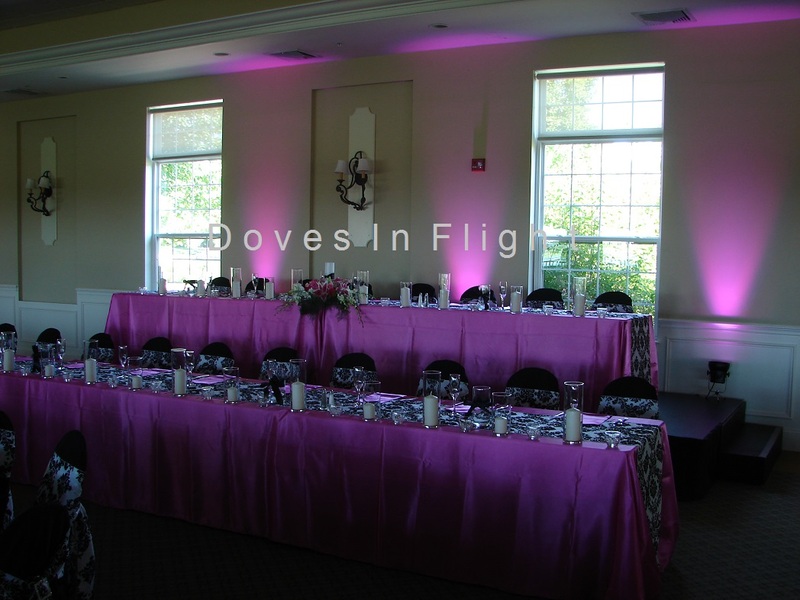 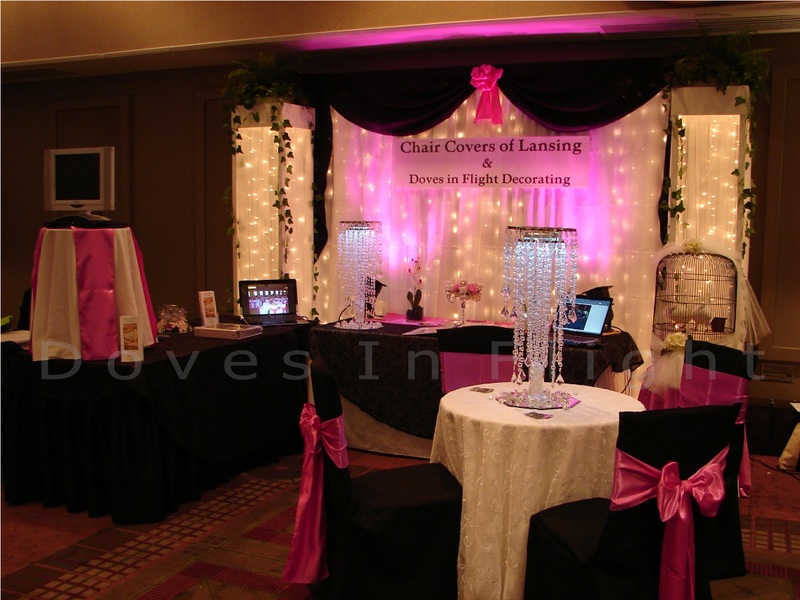 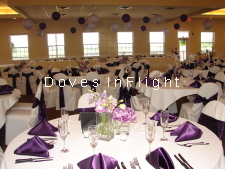 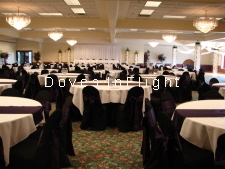 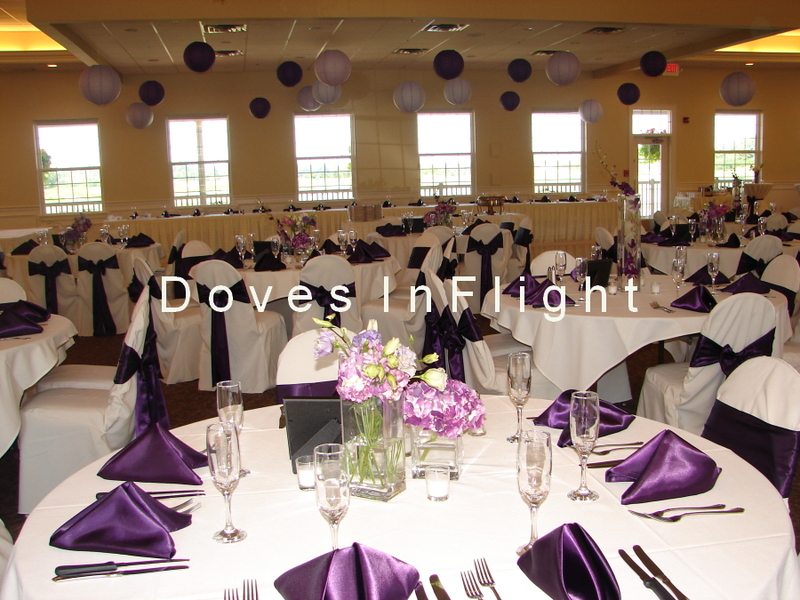 We also create beautiful balloon columns with lights, balloon trees, arches, canopies, centerpieces and more. 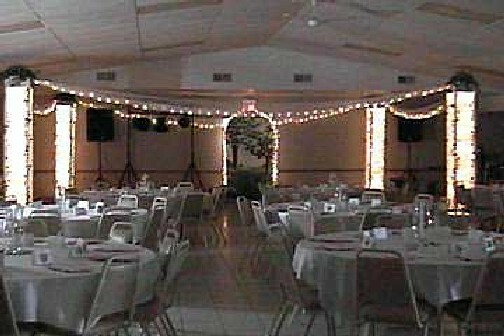 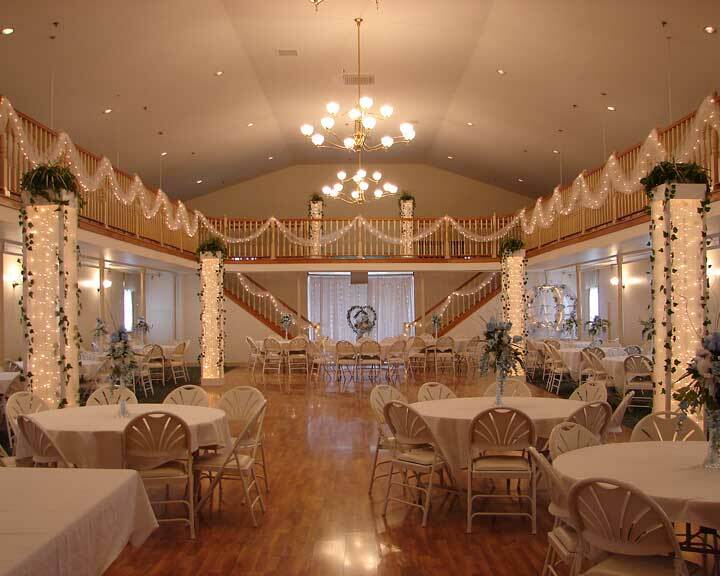 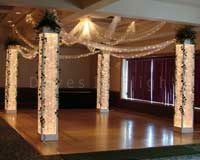 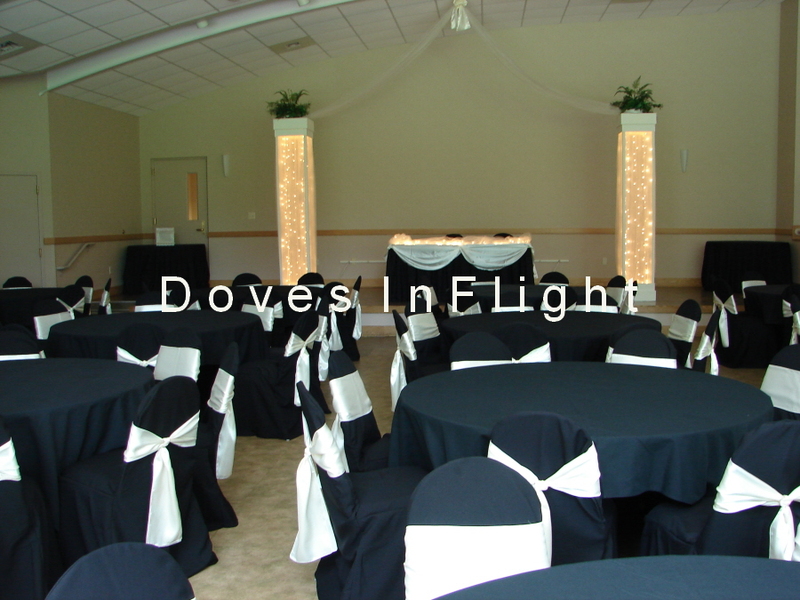 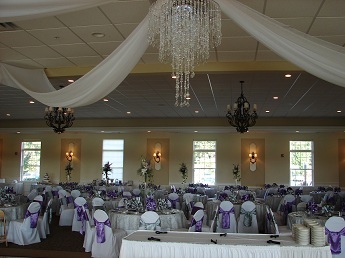 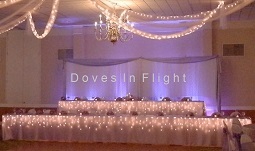 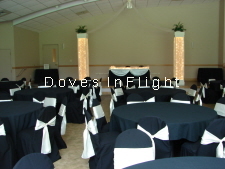 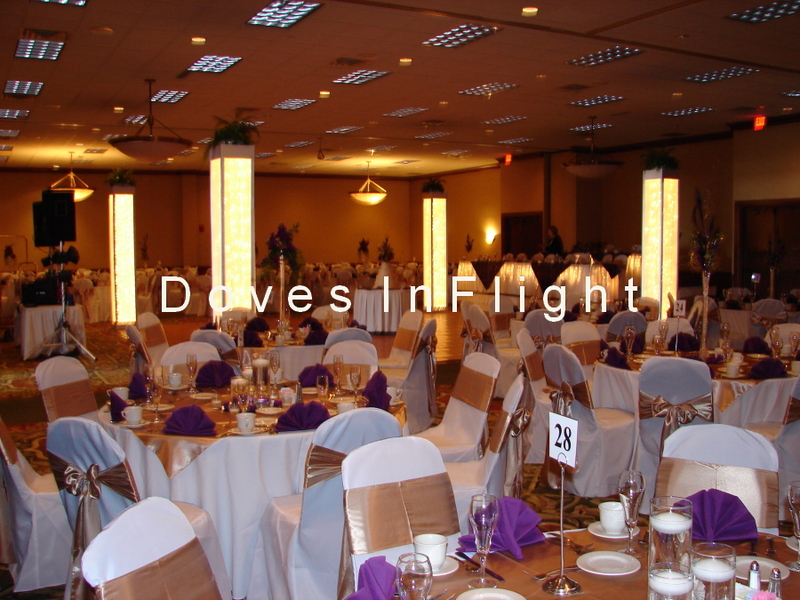 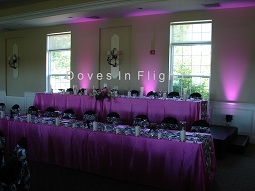 Nine-Foot Pillars with Tulle & Lights, English Inn, Eaton Rapids, Mi.